WSF: Open Letter to Brazilian President: Continue the most progressive culture policy in the world! The Commons Strategies Group with a little help from some friends has drafted an Open Letter to Brazil’s President Dilma Rousseff to be signed by international organizations, academics and activists in support of the work of the Brazilian society and government for the cultural commons. The Open Letter, initiated by Silke Helfrich was issued at the World Social Forum in Dakar, Senegal. It follows an Open Letter by the Brazilian civil society in December expressing concern that Rousseff’s appointment of Ana de Hollanda as new Minister of Culture might lead to a reversal of the progressive policies under the Ministers Gilberto Gil and Juca Ferreira. 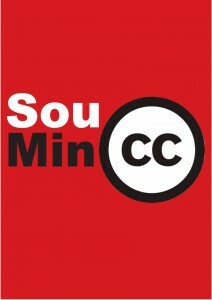 Both letters point out a range of achievements by the previous Ministry of Culture (MinC), including the Points of Culture, the support for free software, the Development Agenda at WIPO, an open inclusive dialogue in society about culture policies, the adoption of free licenses such as those of Creative Commons and the copyright bill. The concern was fueled by the first activities of the new Minister Ana de Hollanda. She announced that she will need to review the copyright bill that was ready to be send to Congress and she withdrew the CC licence from the ministry’s website. For some background on the issues see here.